Companies that decide to produce or sell products in mainland China without first having registered their trademarks do so at their own peril. Without a registration, brand owners must rely on the Anti-Unfair Competition Law, which is notoriously difficult to exploit and almost inevitably requires resort to evidence-intensive civil suits. Fortunately, if the brand concerned has been pirated, the brand owner can in principle continue to produce in China, relying on the so-called OEM exception offered under judicial policy (see our article from June 2015 in this regard). But what if the legitimate brand owner was selling goods or services under the mark in China before the pirate filed for the mark? What can the brand owner do to continue to use the mark and minimize the risks of enforcement by the pirate – without paying the high ransoms typically demanded by pirates? The use of an unregistered mark can of course attract liability from the owner of a trade mark registration – including money damages, the seizure of infringing goods, fines, injunctions and even criminal sanctions, including jail terms up to seven years. Given these risks, it is clearly advisable to conduct clearance searches in China before commencing – or continuing – use of any mark. if needed to protect against consumer confusion, the registrant has the right to demand that the prior user add an appropriate distinguishing mark. There have been a handful of decisions by Chinese courts since the new law was enacted that confirm its utility in traditional contexts, for example the operation of restaurants which have a fixed place of business. But reliance on Article 59 remains a risky proposition due to continuing ambiguities over how its main provisions are to be interpreted and applied in the real world. National sales: To date, there have been no published decisions from Chinese courts that clarify what limitations may be imposed by courts where the goods concerned have a reasonably long history of nationwide sales – including through online channels. Registrant’s bad faith: Likewise, there are no published cases that indicate how the courts would decide cases where there is clear evidence the registrant has obtained its registration in bad faith. Arguably, the presentation of prima facie evidence – submitted in a co-pending invalidation petition to the Trademark Review and Adjudication Board (TRAB) – should at the very least persuade the court to delay issuance of a decision until the invalidation is finally decided. This is a process that can take three to five years, if all relevant channels of appeal are pursued. 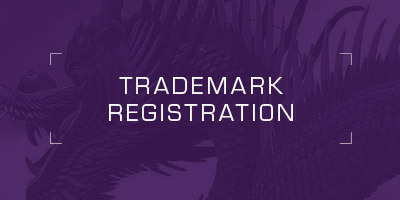 Although Article 59 can be asserted as a defense after the registrant has filed an infringement claim, Chinese law also allows the prior user to pre-emptively file a lawsuit seeking a declaration of trade mark non-infringement, and thereby gain tactical advantages, including over the selection of venue. the prior user/licensee of the mark has suffered harm as a result of the threat. Once filed, a request for a declaration for non-infringement would likely preclude other courts from imposing preliminary injunctions. But it may be insufficient to discourage enthusiastic administrative authorities (typically the Administrations for Industry and Commerce or Market Supervision Bureaux) from conducting their own actions upon the request of the registrant. As noted above, evidence of “influence” or fame is required in order to enjoy protection under Article 59 of the Trade Mark Law. However, such evidence is also required to support oppositions, invalidations and other registry appeals. In most actions against pirates, evidence of trade mark use in the PRC (that is, mainland China) submitted by the complainant must pre-date the filing date of the registry pirate. Trade mark owners are therefore advised to take more aggressive steps under their agreements with Chinese licensees and distributors to ensure they maintain relevant documentation and data and forward it on short notice when needed to support legal actions. Best practice is that such materials be forwarded on a rolling basis to the brand owner. This article originally appeared in the October 2016 edition of Managing IP magazine.